The richness of this velvet and the beauty of the green: this dashing, pleated skirt was screaming my name. And, green so happens to be my favorite color. Growing up, one of our Christmas traditions was to go a local store called Children’s World and buy a new dress for our Christmas church service. It was a special tradition to get that Christmas outfit each year. Of course, I would search for the dress with the most ruffles, lace and girly flare. Traditions are a custom or belief that passes on from one generation to the next generation. I love the traditions that my parents have passed on to me and to my little family. One of the most important traditions is definitely celebrating and honoring the birth of our Savior. Growing up in the Aguillard home, Christmas was centered around the gift of Jesus not Santa or our wishlist (Mike and I actually do Santa in our house and Elf on the Shelf.. not condemning anyone if you do Santa or you don’t). BUT, my kids know that it really isn’t about the gifts under the tree, the lights in the front yard, the Christmas cards mailed, the parties with family and friends, stockings hanging by the fireplace, or the Christmas carols blaring in our car and throughout the malls. Christmas is the season where we are reminded that God showed His great love for me and you.. He sent His Son. So, celebrating this GREAT GIFT isn’t because I am told to do so by my family because of tradition or by society because of tradition. It’s because I know with all of my heart that He is our Hope each morning, our Peace each day, our Joy through the good and the bad. His presence is truly the real magic in Christmas. His presence is truly the only antidote for me and for you. So, I do hope that you and your family experience the REAL JOY of this season. May your heart be filled with love and peace. Have a MERRY, MERRY CHRISTMAS!! What a stunning skirt! The velvet and the pleats give it such gorgeous movement! Hope you and your family have an amazing Christmas, Angelle! Amen!!! The true meaning of Christmas is a gift. Love this skirt on you!! This velvet skirt is amazing!! I love it paired with the leopard clutch too!! Merry Christmas! LOVE everything about this post! 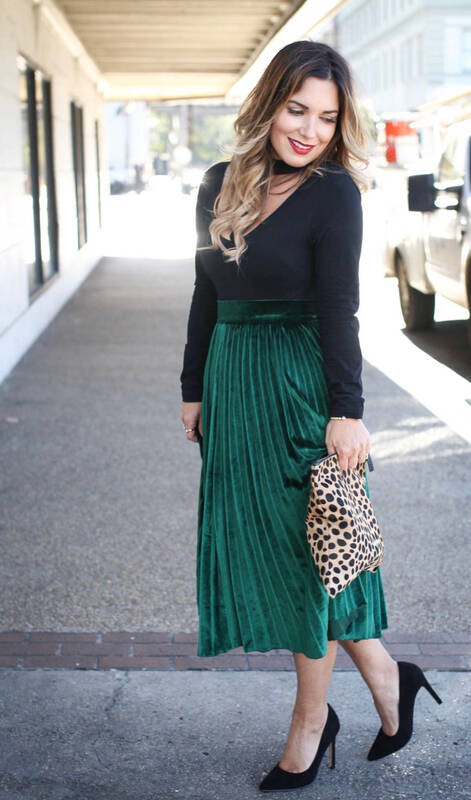 That green velvet, pleated skirt is so festive and perfect for the season. You look stunning! It’s so fun to hear your Christmas traditions, gotta love those fancy dresses! Most importantly, to remember the REAL reason we celebrate Christmas…so grateful to know Jesus! LOVE everything about this post! 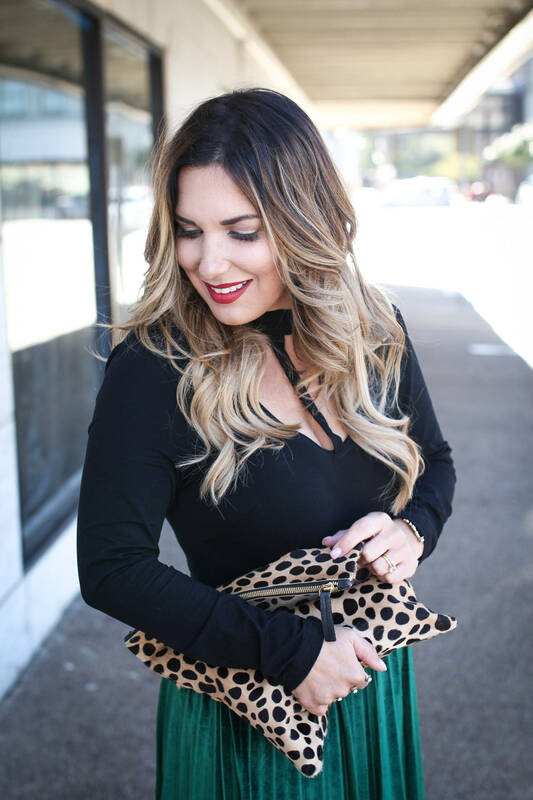 That green velvet, pleated skirt is so festive and perfect for the season. You look stunning! It’s so fun to hear your Christmas traditions, gotta love those fancy dresses! Most importantly, to remember the REAL reason we celebrate Christmas…so grateful to know Jesus! Merry Christmas! This is the prettiest velvet skirt I’ve seen! So festive! 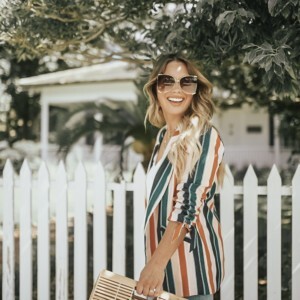 Gorgeous outfit! So perfect for the holidays. Merry Christmas! Wow, you are pretty women. I like your outfit. Have nice day! Amen! What a gorgeous soul…and beautiful Christmas outfit 🙂 Hope you all had a great Christmas! 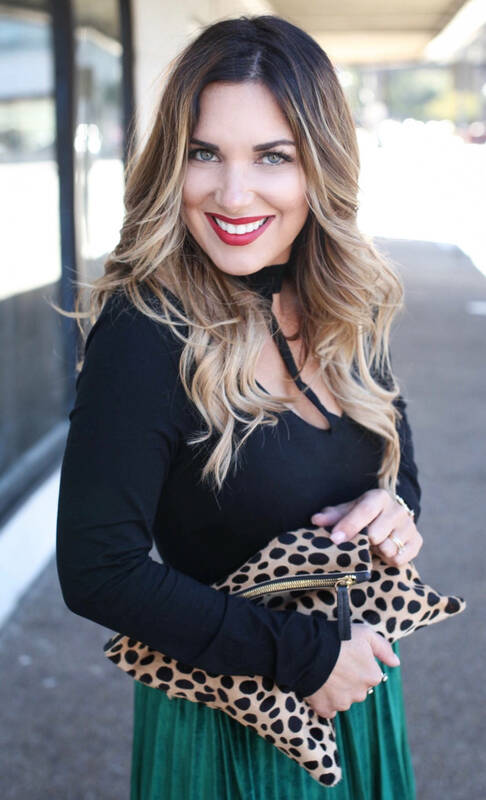 Loving the velvet – definitely very trendy right now! I LOVE this whole look!!! Happy New Year! !